We are one of the leading manufacturers, traders, suppliers and exporters of a wide range of Industrial Conveyors. These are ergonomically designed and developed as per international industrial standards. 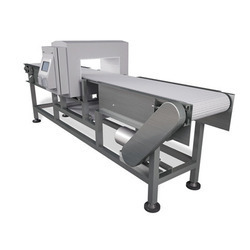 Being a client centric organization, we are involved in offering a qualitative range of Metal Detector Conveyors. These are precisely designed and developed as per international industrial standards. Owing to its robustness and high functional efficiency, these conveyors are extensively recommended by various numbers of clients. Our devices are very easy to install and available at budget friendly prices. We feel immensely pleased to offer an exclusive quality of Rubber Conveyors. 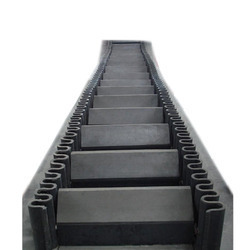 The offered rubber conveyor is developed at our end using finest quality material and modern technology, in fulfillment with set standards. 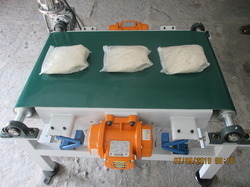 This rubber conveyor is used in food, paper, packaging, weigh-feed equipment & machine building industry. 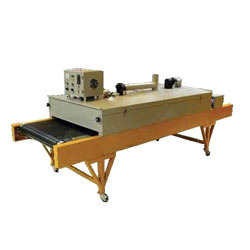 We also offer rubber conveyor in several stipulations to clientele as per their requisites. 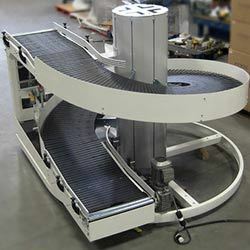 To meet the precise demands and requirements of clients, we offer a wide range of Printing Conveyors. These are manufactured as per international industrial standards and using advance technologies. Owing to its robust design and dimensional accuracy, our devices are extensively preferred by various numbers of clients. These can be availed at budget friendly prices. Keeping in mind the precise requirements of clients, we offer a wide range of Spiral Conveyors. Following the specific requirements of clients, we offer these devices in various technical specifications, dimensions and range. Our products are acknowledged for their uninterrupted performance, longer service life and consistency. These products are acknowledged for there unmatched quality and less maintenance cost.